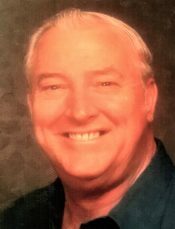 Ormand Luther Frye, beloved husband, father, grandfather and great grandfather passed away at the age of 86 on January 20, 2019. He leaves behind his devoted wife of 34 years, Laura Faye Frye; three children, Rick Frye (Christy), Randy Frye (Angela) Charlie Burris (Patti); five grandchildren, Rickey, Ashley and Matthew Frye, Heather Burris Wilkes (David), Jarrod Burris (Lacey), three great grandchildren, Megan, Madison and Haley Wilkes. Ormand was born in Uriah, Alabama to Calvin and Alver Lee Frye. Ormand served in the U.S. Army during the Korean War. He retired both from Monsanto and Fiberweb companies. He was a member of the Ensley Masonic Lodge. Services will be held at Pensacola Memorial Gardens on Friday, January 25th at 2:00pm with visitation from 1:00-2:00pm. Interment will follow the funeral service in Pensacola Memorial Gardens. The family wishes to thank Marty, Barbara and Jack of Covenant Care Hospice for their excellent care. Ormand will be greatly missed.